Getting back into the swing of the things, one realizes that town politics, even if you left for a year would still be in the same rut when you return. I should realize that watching the rerun of the selectmen’s meeting that I missed is a surefire way to get indigestion. That said, a soothing concoction that helps with ones digestive problems is an easy island recipe for your blender - ginger beer. “Ginger, a plant native to India is used for a digestive aid and is also used as a physical and spiritual cleanser. It helps colds, coughs, flu, indigestion, belching, abdominal pains, motion sickness, laryngitis, arthritis, hemorrhoids, headaches, impotence, diarrhea, heart disease and memory loss. It is used as a food, a tea, a gargle, a compress and is also used as massage oil. Do not use in case of high fever, bleeding with inflammatory skin conditions or if an ulcer is present.” It’s less of a warning label than your typical pharmaceutical commercial. With all these uses, it makes sense to find the freshest piece of ginger in your supermarket or specialty shop and get chopping. Avoid wrinkly skin. You want tight, fresh healthy roots. It should look like it just came from the ground. The longer the root sits around, the harsher the flavor. 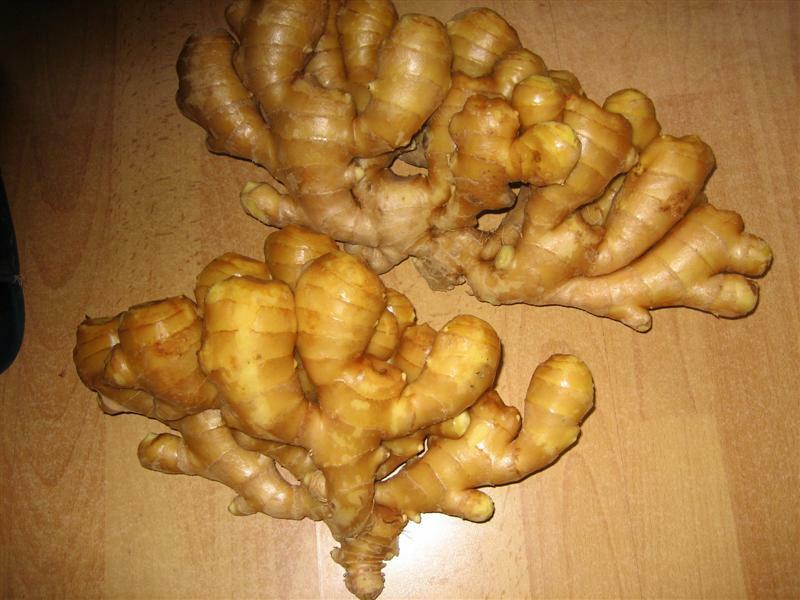 Asian or Indian supermarkets are your best bet for the freshest ginger roots. For a simple ginger beer recipe that will help with a bout of indigestion and the last rerun of your local selectmen’s meeting, here are the simple ingredients and directions. In a blender, add three to five tablespoons of sugar with ½ cup of warm water to dissolve the sugar. Add the fresh ginger and the remaining 3 & 1/2 cups of cold water and a quarter teaspoon of pure vanilla extract and process in your blender. Place in a container in the fridge and let the ginger pulp settle. You may want to strain the ginger prior to serving. Pour over ice for this tasty drink. This concoction has a bit of a kick so one must acquire a taste for fresh ginger beer. If you like, you can add a splash of seltzer to give it a bit of fizz. You can adjust these proportions as needed. So to end our daily blog in Annie fashion, the inspirational quote of the day is summed up best by Earnest Benn. 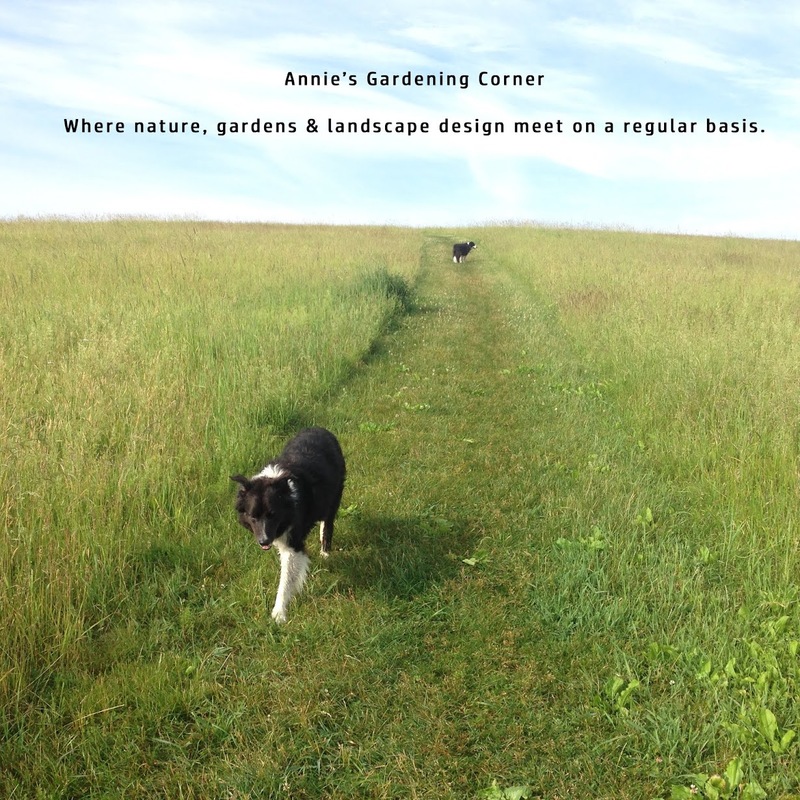 “Politics is the art of looking for trouble, finding it whether it exists or not, diagnosing it incorrectly, and applying the wrong remedy.” So remember to stay gingerly restful and centered. Happy Monday. Quoted information on ginger - excerpt from the Illustrated Encyclopedia of Healing Remedies, C. Norman Shealy. 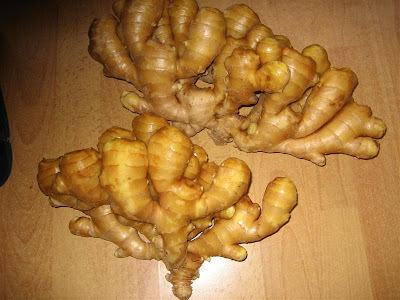 Image of fresh ginger root from the Internet.